Martensville Baptist Church began in 1977 with a few people from Ebenezer Baptist Church meeting in a school in Martensville to explore the potential of a Church Plant in this area. Martensville Baptist Church was officially organized in 1978 and grew quickly. That same year, with the blessing of donated land, they began a building project that was completed by November. Walter Boymook was the pastor for the first year or two. He was followed by Henry Gossen who had a fruitful ministry and remained as pastor until illness forced his resignation in December of 1992. In April of 1993, Denis Brucks (Leona) was hired as an interim pastor for a one-year term, however, he remained in that position until June of 1999. The church was small and struggling to stay alive. Then for a few years several interim or short-term pastors filled in making the transition to a healthy church difficult. There were other Youth Pastors who worked at MBC but the records are unclear with names and dates. Administration was not a priority during this time so there are not many written records for the earlier days. In August of 2002, Harv Sawatzky (Sharon) was called to pastor the small congregation of about 40 at Martensville Baptist Church. His mandate was to help the church head in a new direction and become healthy and strong so they could focus on sharing Christ with the people of Martensville. Pastor Harv’s gifting is his relational style of leadership and in a loving, humorous way he challenged the church to change. With godly character and hands-on ministry, he led them through a transition to a healthy, vibrant church. Sharon Sawatzky (Harv’s wife) became the Administrative Assistant working part-time hours beginning in April 2005 changing to a full-time position in 2006. Pastor Tim Braun was hired in Fall 2006 to oversee Music and Small Groups. At that time, Pastor Harv accepted the half-time position of District Coach while remaining Lead Pastor at Martensville Baptist, half-time. He held both these positions for 4 years, returning to only the Lead Pastor role in August of 2010. Because of the high demands of both positions, the leaders of the conference and the church recognized the need for a break for Harv. He was granted a Sabbatical leave in February 2010 for 3 months. Pastor Jared (Karis) Brandes was hired for the Youth Pastor position in 2007 until the end of 2009. While Pastor Harv was on sabbatical that spring, Lisa Sawatzky led the youth until Pastor Harv got back to hire our next pastor for the Youth Ministry. A shift in ministry responsibility happened at this time. Pastor Tim Braun continued leading Worship Ministries and added the area of Missions; Pastor Aaron moved to leading Small Groups, Men’s Ministry and Family Ministries. In the first year of Pastor Harv’s ministry at MBC, together with the Board, a new Vision and Mission was forged.  Then, a new leadership structure was developed and the MBC Leadership Team began functioning in Sept. of 2003. As the church grew, new strategies were implemented and direction became clear. This Leadership Team functioned well for several years and the church became healthy and strong, steadily growing spiritually and numerically every year. As staff were added and the church grew, it became clear that a new model of leadership structure was needed. The Leadership Team became the Elders Board and took on a brand new role of overseeing direction and vision of the church working closely with the Lead Pastor. Also, a new working team was formed, led by the Lead Pastor called the Ministry Staff Team. MBC Vision, Mission, & Core Values became the guiding principles in all areas of ministry as a new path was forged for the church. In the early years of Pastor Harv’s ministry here, the Sunday Morning services were the first to receive a face lift as new vision and direction was set. The atmosphere on Sundays soon became warm and welcoming. Music was a challenge with no musicians and for 2 years, guests were invited every Sunday to help. God lead musicians to MBC who could help facilitate a change in style of music bringing us to a place where in 4 years we had a full band and worship team leading some of the most current worship songs. With the arrival of Pastor Tim Braun in 2006, this area has grown strong and continues to grow as he trains young musicians and integrates them into the music teams. First Impressions ministry began with training ushers, adding greeters and serving coffee before church. With the new addition, the lobby became the perfect place to welcome people with Café 77 as coffee central. Challenging sermon series and weekly small groups helped to fulfil our mission by building relationships with people, meeting them where they are on their journey and encouraging development of fully devoted followers of Jesus. Youth and Children’s Ministries have always been an important growth focus through the years as new families have come. Each leader of our ministries is given the freedom to run them in a way that works well for them (within our statement of faith and mission), so while curriculum and programs have changed under different leaders, youth and children are being taught to grow in their walk with the Lord. Missions MBC has always supported missionaries, growing the list and gifts every year as the church budget grew. In the last few years, God has worked in the hearts of many MBC folk prompting them to go on Missions Trips. This growing heart of missions affected the lives of people in our congregation to give more and we have seen several people who have committed to go into part-time or even fulltime mission work. Our Facility has gone through a few changes since 2002. Outdoor workdays refreshed the curb appeal and several reconstruction projects indoors allowed us to facilitate a growing church and staff. In Fall 2007, MBC held a Giving Campaign called “Building for Eternity.” In October 2007, the congregation held a Celebration of God’s Provision service. The total pledged and given that day by about 145 people was $370,000. The building process was a challenge and a joy. God provided all along the way blessing us with a fantastic facility that will be used to bring honor and glory to His name.